Hi lovelies! 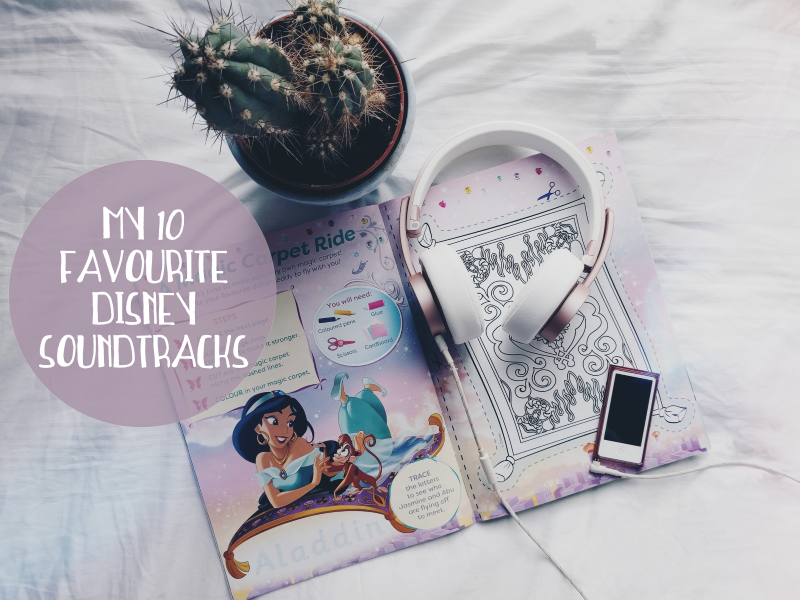 I was actually planning on doing an updated "my ten favourite Disney songs" post when I found that I was having difficulty choosing between songs from the same soundtracks so I thought I'd make my life a little easier and share my favourite soundtracks instead! The catchiest, most adorable songs! I'm so excited to see what Disney do with the songs for the upcoming Mary Poppins Returns film too. This soundtrack is just on a next level with its beautiful, meaningful lyrics. I can't listen to "Just Around The Riverbend" without feeling like I want to run out the door and take every chance life throws at me! I'm sure a few years ago this would have been much higher in this list but I have to admit even I'm getting a little tired of "Let It Go" now. "I See The Light" is hands down the greatest Disney love song. Ever. Even my not-100%-keen-on-Disney boyfriend loves this soundtrack! It's hard to listen to any one of the songs without wanting to sing along! Bless my soul, HERC WAS ON A ROLL. No other Disney soundtrack has quite this much sass. This soundtrack just proves how Disney are still very much on top of their game with producing brilliant, original songs still. There's honestly not a single song on this soundtrack that I didn't love from the moment I first heard it! I'm not going to lie, pretty much every Disney soundtrack makes me tear up but none do it quite as well as the Tarzan one! Phil Collins' voice tho. As the top two songs on my 10 favourite Disney songs post were from this film, it's not surprising this is my most beloved soundtrack! LET'S GET DOWN TO BUSINESS TO DEFEAT THE HUNS. Would you guys choose the same soundtracks? Let me know which ones would make your list! Yes to all of these! I can't stop singing Moana.